One of the best children’s novels published this year, and surely a hot contender for any prizes going, this is a story of two parts. The first dwells on the life of Bat, a young herds boy living in a traditional village in the African Savannah. Finding and adopting a baby elephant, the two live happily enough together with his grandmother through times where food is often short but where family and community structures remain strong. 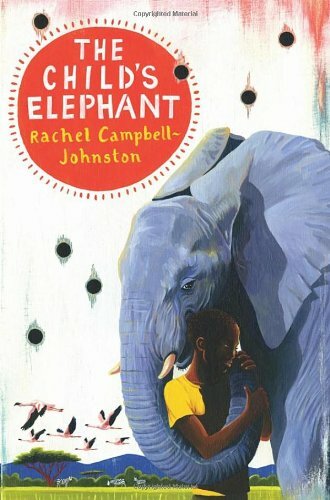 Rich in detail, the author seems to know absolutely everything and then more about how to bring up a baby elephant against the odds. But this is no sentimental story; Bat realises that the rapidly growing young elephant must join a herd for its long-term survival. The final separation between the two is heart-rending but made to seem properly inevitable. At this point, the story could well have ended. But conscious of recent history it then moves into a truly harrowing stage involving a Boy Army into which Bat and his close friend Muka, another orphan, are brutally kidnapped. Horrors follow, yet the two still manage not to lose their souls as well as their freedom. Both finally survive, and if there is something a little pat in their being rescued by the same elephant, now fully grown, few would wish to complain given how hopeless the children’s lives had become up to that point. The author writes authoritatively and well; her novel is genuinely eye-opening. It should not be missed.